It takes a lot of money to run a university. UVA’s $1.52 billion Academic Division budget has to cover everything from professors’ salaries to books for the library to landscaping to new technologies for labs. And budgeting for a complex organization like UVA is no simple task. This year, the University moved to an internal resource allocation system, known as the University Financial Model, which makes budget decision-making more transparent, incentivizes entrepreneurism and innovation, and emphasizes prudent stewardship with the ultimate goal of redirecting more resources toward strategic priorities. The University is starting from a position of strength. It has one of the largest endowments in the country, along with a diversified revenue base. By applying a philosophy known as Organizational Excellence, UVA leaders are constantly seeking new, more effective and efficient ways to deliver services so that more resources can be devoted to the University’s core mission. The broad-based planning initiative that culminated in the development of the Cornerstone Plan in 2013 has enabled the University to remain focused on its strategic priorities. Like other institutions, the University has an aging faculty that is retiring at faster rates and it is working to attract the best students. The Cornerstone Plan is addressing some of these issues for the next decade, along with improving technology and increasing opportunities for students here and abroad. In March, the Board of Visitors approved Affordable Excellence, a multi-year financial plan to ensure sustainability and predictability of University finances, prioritize strategic decision-making, and provide a window into future needs. The plan called for a series of moves to maximize available funds such as increasing the endowment spending distribution, creating operational efficiencies, implementing a more efficient debt structure, and initiating planning for a robust philanthropic campaign. The model also calls for two years of $1,000 tuition step increases for incoming first-year in-state students along with a base tuition increase for all undergraduates. 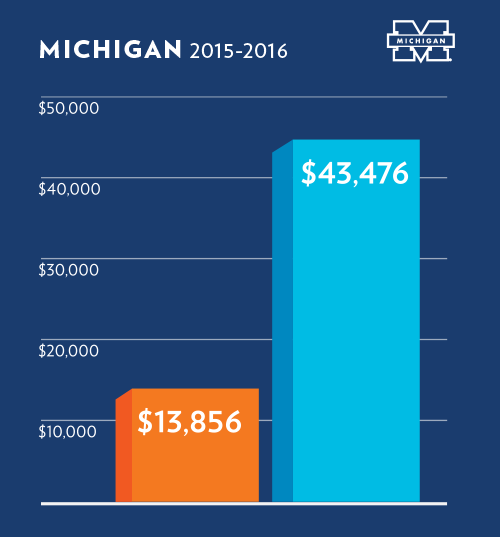 Revenue from the step increases will be used to slash the maximum need-based student debt that in-state students might accrue over four years by $10,000. The increased grant aid, for example, means a low-income Virginian would accrue no more than $4,000 in need-based loans over four years. UVA leaders say the effort keeps college affordable for those who struggle most with loans, while continuing to provide a world-class education for all students. “We have to keep investing to make sure the value of a UVA degree remains high,” says Colette Sheehy, senior vice president for operations. Balancing the needs of a major university—everything from professors’ salaries to new science labs to rising utility bills—involves a lot of planning and some creative money management. UVA has a diverse funding stream, including tuition, state appropriations, research grants, gifts, distributions from its endowment and the sale of everything from student meals to football tickets to parking passes. State governments face many significant challenges, including funding higher education. 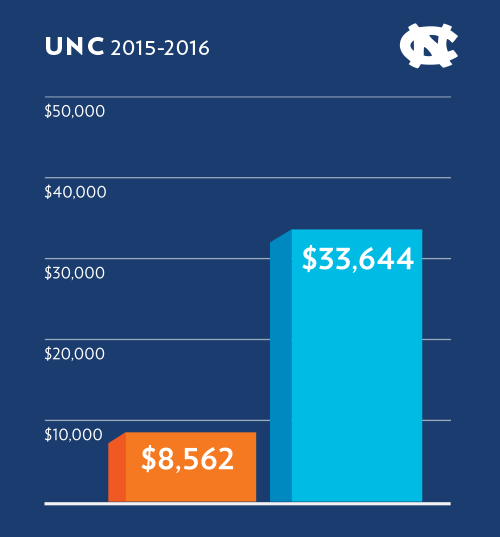 Because state appropriations remain uncertain from year to year, tuition is an important element of the University’s financial planning. 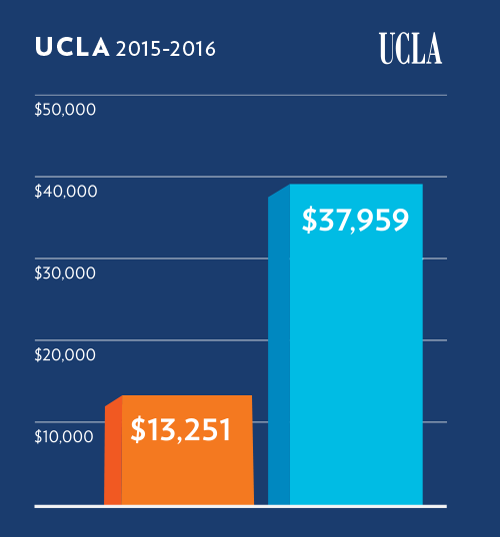 As tuition rates have risen, the University has taken steps to increase financial aid and minimize loans. UVA has a need-blind admissions policy, and approximately one-third of undergraduates receive financial aid.  Roughly one-third of undergraduate students have demonstrated financial need. 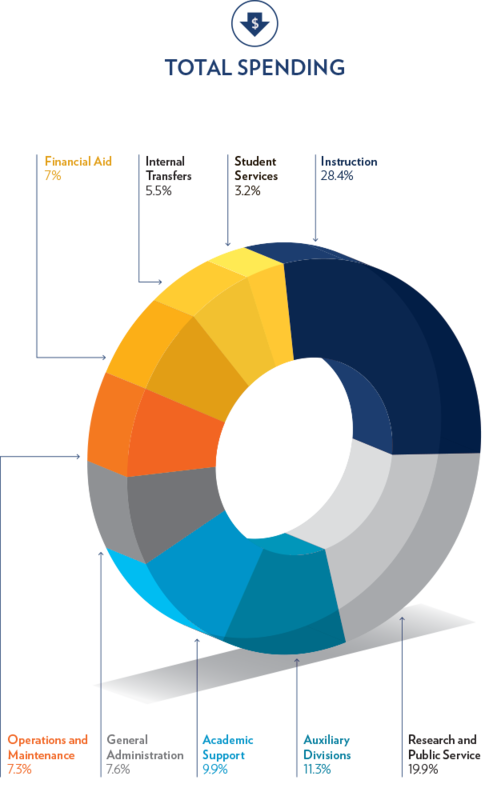 UVA for years has met 100 percent of that need through a combination of grants, loans and work study. The Affordable Excellence plan decreases the maximum loans students will receive. This is for core fall/spring tuition and fees—students can take out additional loans for study abroad, etc. U.VA. is one of two public universities in the country to meet 100 percent of demonstrated financial need of students—through a mix of grants, loans and work study. The other is the University of North Carolina, Chapel Hill. UVA restructured its debt earlier in 2015. The University has a AAA bond rating from all three rating agencies—the highest achievable—which allows it to borrow money at lower rates. 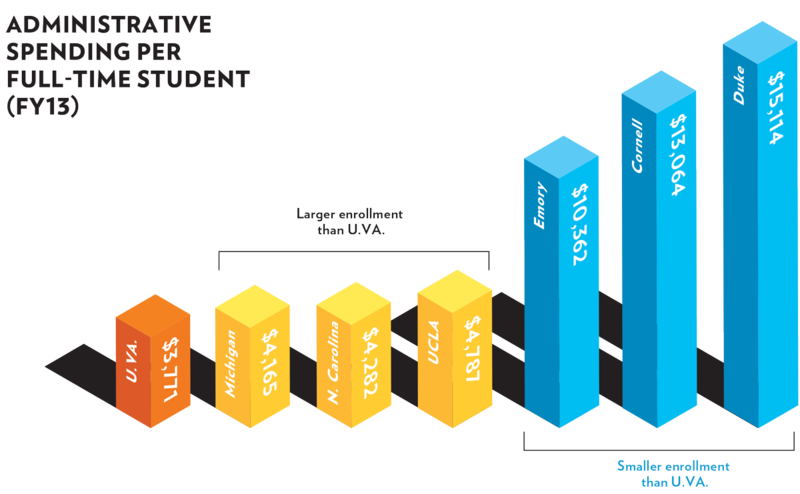 UVA refinanced some loans and invested short-term cash for better returns, providing funding for strategic investments. State funding has flattened over the last decade and federal grant money has returned to pre-2009 stimulus levels. 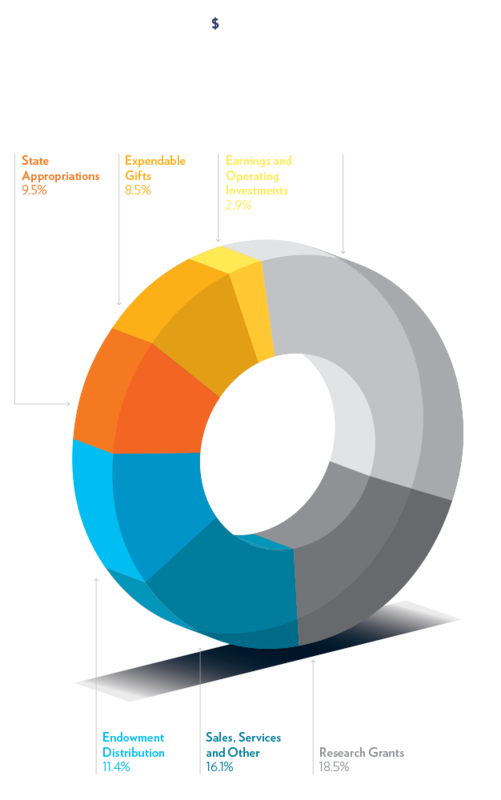 UVA depends on sources such as endowment distribution, expendable gifts, and tuition and fees to fund its operations.  The endowment distribution has become a bigger part of the budget picture, accounting for nearly 12 percent of total revenue, up from 6.4 percent in 2005. 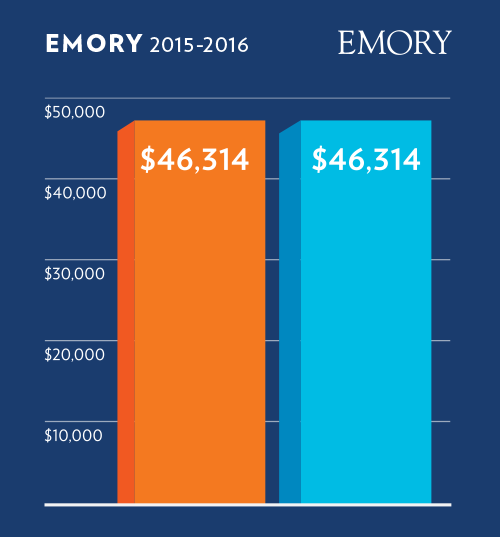 Approximately 70 percent of the endowment is restricted by donors for specific purposes. 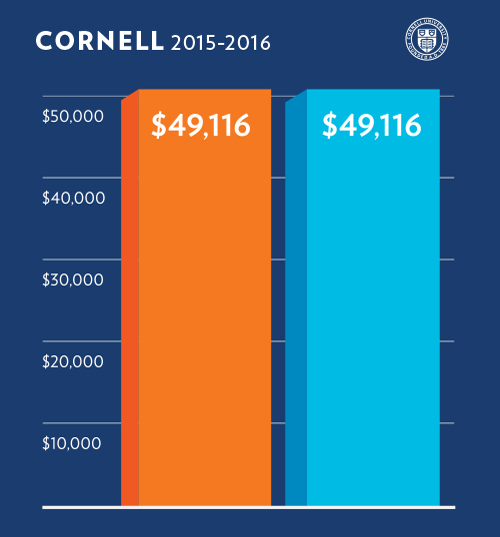 The Finance Committee increased the 2015–16 endowment draw to 4.62 percent of the total endowment from 4.22 percent in 2014–15. Future draws will increase by the rate of inflation, remaining within 4 to 6 percent of the market value of the endowment. Like many other universities, UVA’s aging faculty means ever-increasing numbers of retirements. In recent years, faculty retirements have risen 150 percent from pre-2010 levels.  The departures mean the makeup of the faculty will change: University officials say it has been heavily weighted toward full professors, and they now hope to hire a combination of full, associate and assistant professors to keep faculty ages more evenly distributed. 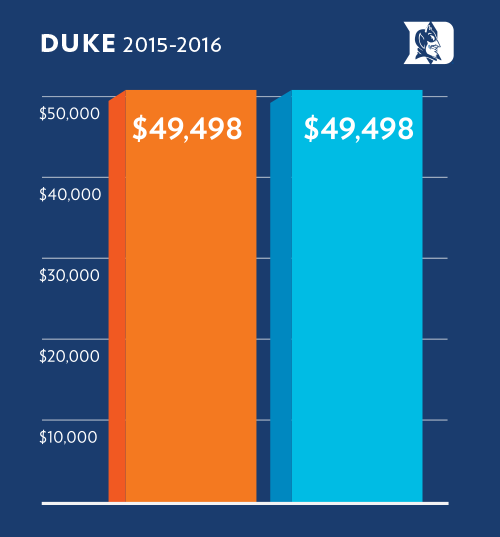 The average pay for full professors at UVA in 2014–2015 was $156,900. This includes all professors except those in the medical school. The University is working toward a goal of a top-20 faculty salary ranking among institutions in the Association of American Universities. *Does not include graduate schools. Catching up with enrollment growth through 2016 will require 105 new faculty members, along with the anticipated replacement of an additional 457 positions being vacated within the next seven years. 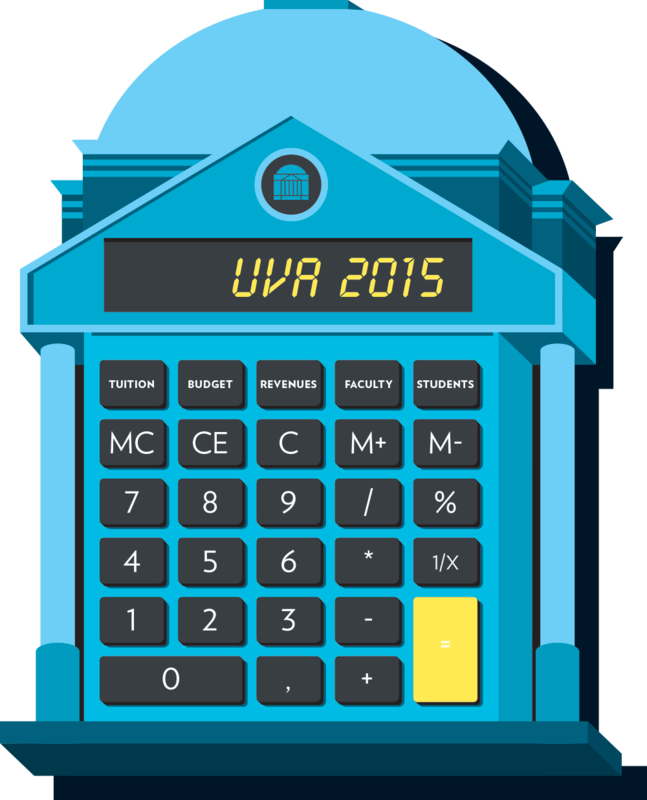 To help ensure financial sustainability and achieve its goals, UVA has created a multi-year financial plan that brings renewed discipline to financial and operational planning and addresses many of the challenges facing all of higher education. The University has developed an Organizational Excellence philosophy that seeks to implement operational efficiencies that will channel the most resources to educating and mentoring students, advancing research and incorporating the latest innovations in health care. As a result of these efforts, UVA leaders have established a target of $150 million in savings to be reinvested in the University’s core mission over the next seven years. 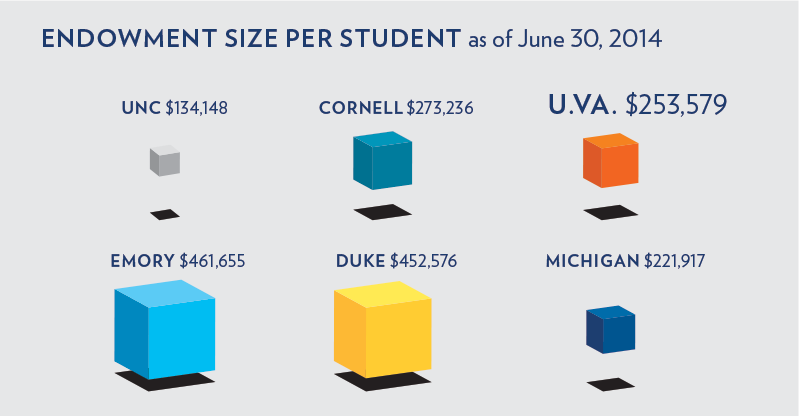 According to expenditure data from the Department of Education’s Integrated Postsecondary Education Data System (IPEDS), UVA already ranks 9th lowest among its peer institutions for administrative spending per student. Through a plan that also includes philanthropic support, increased draw on the endowment and development of new revenue sources, UVA will have the financial resources to invest in a number of key strategic priorities in the coming years.